People queue up for application forms to get liquor cards at excise office in Aizawl. From bootleggers to Church, vigilantes to youths, and government to opposition, the battle lines are still drawn a week before prohibition ends and liquor sales begin in the state. The longest lines, however, are for permits to buy alcohol, finds Adam Halliday. A middle-aged widow who has for years sold bootlegged rum at roughly twice the original price sat at a friend’s grocery shop in an Aizawl neighbourhood and contemplated if she should start a new line of business. With total prohibition ending and liquor outlets set to open March 2 across Mizoram, she reckoned, bootlegged alcohol would be profitable no more, certainly not enough to feed her family, including a son and daughter and an infant grandson. Every Sunday for the past two months, she has been running a small food stall on the pavement near her home. Two weeks ago, she also started hawking second-hand clothes near it. She still bootlegs, of course, and every hour or so young men on motorcycles drive up to the main road near her basement dwelling to quickly pick up a bottle or two — McDowell’s No.1 rum from Meghalaya for Rs 500, that from Assam for Rs 400 (original price around Rs 150) — and stash it in their bags before zooming off. Those convicted under new law doing community service as punishment. One night, as a group of four young men emerged from the steps leading down to the dwelling, a man sitting at a nearby shop grinned, “You guys willing to be frisked?”. The four smiled sheepishly, as one of them put a finger to his lips and said “Shhh!”. The end of two decades of prohibition may be something to say cheers about for many in Mizoram, but not for the hundreds of bootleggers who eked out a living from it, including many women. Equally vocal about their “dread” are thousands of parents, devoted Christians and community leaders, who fear the open availability of alcohol will do more harm than good. Biaka Fanai, 18, is one of those not yet eligible to drink (the legal drinking age has been set at 21), but he foresees what’s in store for his peers. “For those who drink, it’s good because it’ll mean they will get booze cheaper. But it’s definitely going to make people my age drink heavily,” he warns. What about the age limit? “Like that’s going to actually work,” he scoffs. Upmarket Aijal Club that is the only one allowed to open a members-only bar. No permits have been issued yet to bars, only wine-shops. It was just before the 2013 state elections that Chief Minister Lal Thanhawla spun the bottle. In a television talk show, he was asked bluntly by the interviewer if his government, if voted back to power, would lift prohibition. “We will review it keeping in mind what it has done for society,” he replied. In the months that followed, more and more government leaders began talking about introducing a new law. Alcohol dominated conversations and debates through much of Mizoram. The government argued that studies had shown that prohibition had failed completely and the number of people getting admitted in hospital due to alcohol-related causes had increased because of large-scale consumption of spurious liquor. Come June 23, 2014, the Act was brought to the Assembly floor for a debate. On July 10, people across the state stayed glued to their television sets to watch live proceedings of one of the lengthiest debates on a single issue in recent memory, lasting almost seven hours. Revellers at Chapchar Kut (the traditional Mizo festival that falls in March) sneaking a few pegs near the venue in Aizawl. Soon the rules accompanying the new law were revealed. It would rely heavily on permits, including for buying alcohol, and also involve fines and jail terms for a number of offences. Liquor card holders would be allowed no more than six bottles of strong liquor and 10 each of beer and wine every month. The punishment for breaking the law, varying from five days in jail to five years, would be longest for offences such as drink driving, causing ‘nuisance’ and drinking in public places — although magistrates have been provided amnesty powers to commute both fines and offences to community work. Most importantly, the new law would empower citizens to arrest offenders provided they were handed over to police or excise and narcotics officials. On January 15, the new law came into force, oddly more than one and a half months before liquor was slated to be legally available in the state and before any permit had been issued. Since then, an estimated 40,000 people have applied for permits to have alcohol in the state. The applicants admit the process is cumbersome, but add that they are just happy to finally be allowed to drink legally. They are required to submit a bank challan of Rs 520 each with their application forms, and once they have braved the bank queues for it, submit the same after lining up once more. The long wait for the liquor cards starts after that, with their distribution yet to start. Even withdrawal of the form invites a fee of Rs 20. Doing the math, that’s roughly Rs 2 crore or more in government coffers already, just from the issue of permits, not a bad start given the government hopes to rake in Rs 30 crore every year from the restricted sale of alcohol. That amount would roughly equal the Excise Department’s entire earnings in fines from those who broke the law in the two decades of prohibition. In addition, bonded warehouses that will bring in alcohol from outside and store it before it is sent to outlets have to pay Rs 1 lakh each per year to the government. There will be two such warehouses to begin with, and the contracts have gone to the family business of Cabinet minister Zodintluanga and the firm of former Congress minister S Hiato’s son. The Cabinet minister incidentally had been the first one to support the new law during the Assembly debate. The other major source of revenue for the government would be the licence fee collected from vendors, of Rs 50,000 each per annum. Only state PSUs (none of which has made profits in the recent past) and the ex-servicemen’s association are being allowed to run outlets, apart from the upmarket Aijal Club that has got permission to run a bar exclusively for members. Every brand has to pay a fee to be allowed to be sold in the state. At least five liquor companies have already been approved to carry on operations. For example, Pernod Ricard will pay the government Rs 10,000 per annum to sell its Seagram’s Royal Stag brand in Mizoram (where it is one of the most bootlegged whiskey brands), while it will have to pay an additional Rs 15,000 per year for the mono-carton each bottle comes in. 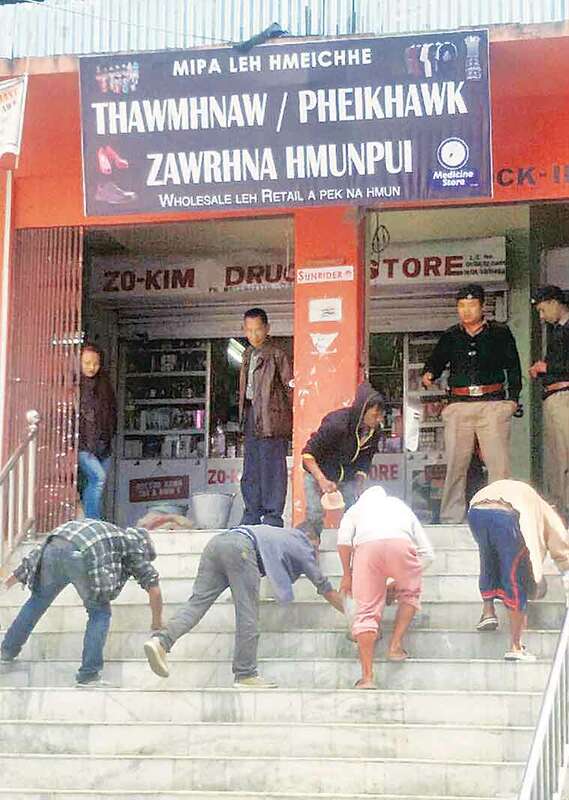 The Excise Commissionerate in Aizawl’s Tuikual locality is abuzz these days. On the top floor, a team of officials is busy applying the department’s official seal on thousands of freshly-printed, fake-leather-bound liquor cards. These are about the size of passports, containing pages where the date and number of bottles purchased are to be marked. An official hurries down to the office of a senior colleague and asks where more seals can be found. The senior official, who is showing guests some sample bottles by wine and whiskey makers who have applied for a licence to sell in Mizoram, looks up as he replies, “First floor. There’s a box there.”The junior official taps his heels in a salute and exits. “We ordered 11 new seals just last week. They don’t last that long. There are just too many cards to mark with them,” the senior official, who doesn’t want to be named, quips as he flashes the business card of a manager at Pernod Ricard and flips it over to show the embedded signs of the various alcohol brands they manufacture and sell — a colourful ensemble on a small piece of paper. “You will be like Bethlehem although you are a small department. You will be the source of much of the state’s finances,” Excise Minister R Lalzirliana told a gathering of excise officials in December, drawing on the Old Testament in reply to an officer batting for the workforce, currently at four-fifths the sanctioned strength, to be enhanced. The government has steadfastly denied it covets liquor revenues, however, and the Excise Minister and other leaders have said on many other occasions that the government cares more for people suffering severe health problems because of consumption of spurious alcohol. However, the Church and community-based organisations such as the Young Mizo Association are not convinced. The modern-day avatar of the traditional bachelor’s dormitory, the Young Mizo Association controlled pre-colonial Mizo society by enforcing a code of honour, and continues to have members in virtually every household. Even the ruling Congress didn’t have it too easy. The Cabinet tellingly backtracked once on discussing the new law before it was finally introduced in the House. With the party enjoying total majority in the Assembly, it was smooth sailing then on. The opposition parties continue to object, and the Mizo National Front has called a bandh on February 25. Apart from the rise in prices of various government services, the protest is against lifting of prohibition. “Total prohibition is in the best interest of the state’s people,” says Leader of the Opposition Vanlalzawma. Before the new Act was introduced, the Presbyterian Church’s top authority, the Mizoram Synod, had put up posters with slogans such as “It is more desirable to be poor without liquor revenue than to be rich with it” and “Wine makes fools of us, alcohol leads to violence”. More than 50 per cent of Mizoram’s population, including Minister Lalzirliana, are members of the Presbyterian Church. The Young Mizo Association issued statements advising the government to work towards strengthening prohibition, adding that it “wishes the battle against alcohol and drugs continues”. In Mizoram, the struggle against liquor has been at the forefront of many an agitation. Volunteers from the Young Mizo Association and neighbourhood watch bodies calling themselves Joint Action Committees, and Village Defence Parties in villages, earlier carried out “checks” and destroyed bootlegs. In the latter half of the last decade, such vigilante action even claimed a few lives. Police and excise officials continue to routinely arrest people for any of several listed offences and promptly produce them in court. This past Wednesday, seven young men stood in the courtroom within the Aizawl District Court premises with their hands behind their backs as green-bereted excise officers sat chatting on wooden benches just outside. “Do you have money to pay the fine?” the judge asked. The young man shook his head ambivalently. “Well, you’ll have to sweep then,” the judge said, and wrote down the sentence. He then called out the names of two other men who were presumably arrested together. “What about you? You have money to pay the fine?” the judge asked. “Yes sir,” said one confidently. The judge gestured to the excise official and wrote down the sentence as the men were led out. Outside, a group of young women giggled as the duo emerged and one of them paid two Rs 1,000 notes to one of the seated excise officials. As they all left, an official called after them, “Remember, you’re paying the government for drinking.” It provoked another round of laughs. Inside, the judge finished sentencing the men. Once all four of the men who were let off with a fine had left, the officer who had collected the money turned to three young men sitting in a corner. The young men smiled embarrassedly. “Well then, get ready to sweep. We have lots of places for you to sweep,” he said. The other officers laughed again. As of today, in Aizawl district alone, 66 people have been arrested for drinking without permits, of whom 47 have been sentenced to three days each of community work, 14 let off with fines, and four others, who failed to turn up for community service, sent to a month in jail. 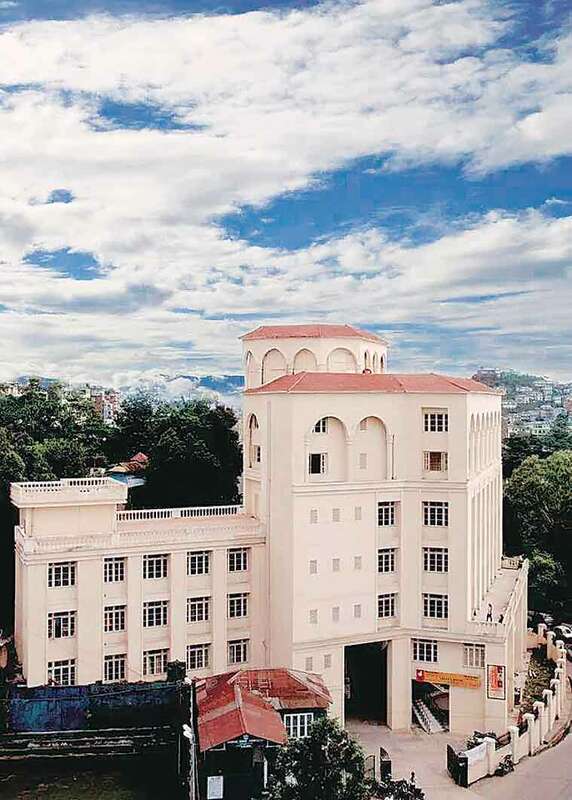 One morning last month, as office-goers made their way to work, three men in masks and caps earnestly went around cleaning up the milling campus of the Aizawl Civil Hospital, much to the delight of the administration. “They’re at the market. Cleaning up there,” the officer replied. The administrator seemed pained the workforce had been split, but said it was still a blessing since there was always a shortage of sanitation staff at the hospital. The men continued working, silently.